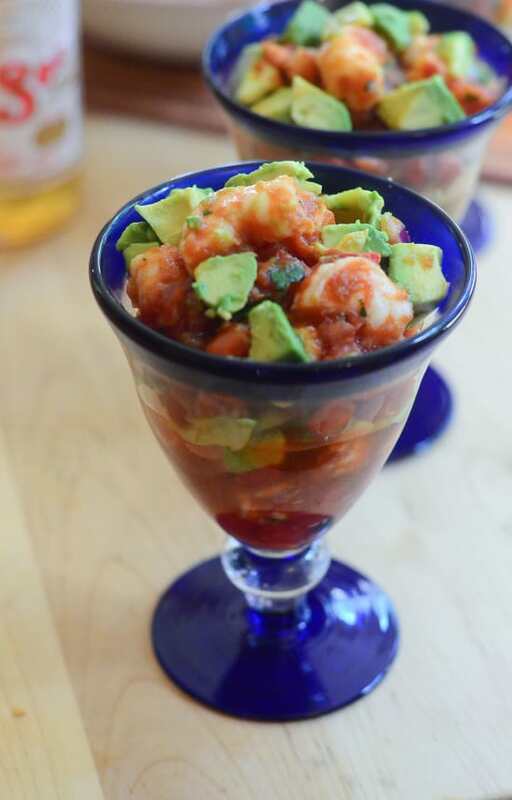 You will love this Mexican twist on shrimp cocktail! Big chunks of shrimp mixed with pico de gallo and cocktail sauce and layered with avocado with lots of fresh lime juice. 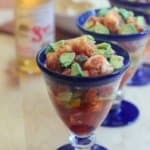 Mexican Shrimp Cocktail is a delicious party snack or a tasty light meal. The kids are heading back to school which means that summer is winding down. Soon it will be all about soups, stews, chili, and the flavors of fall. But guess what? It’s August, it’s still warm outside, and we need something to do with all those gorgeous tomatoes. I had a Mexican style shrimp cocktail once at a restaurant near us and it had a huge impact on me. The concept was so simple and obvious that I couldn’t believe I hadn’t considered making it before. I’ve remedied that and I’m here to share. 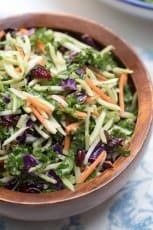 This might be just the thing to serve at your next summer shin dig. We’re talking big chunks of shrimp mixed with pico de gallo and cocktail sauce and layered with avocado with lots of fresh lime juice. Scoop all that goodness up with some tortilla chips and wash it down with a cold Mexican beer. I know, pretty good right? Right! We’ll start by mixing up a basic pico de gallo. 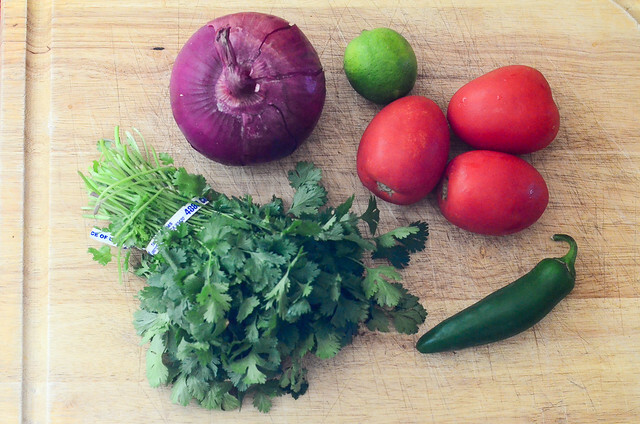 You’ll need a few roma style tomatoes, a jalapeno, some cilantro, a red onion, and a fresh lime. 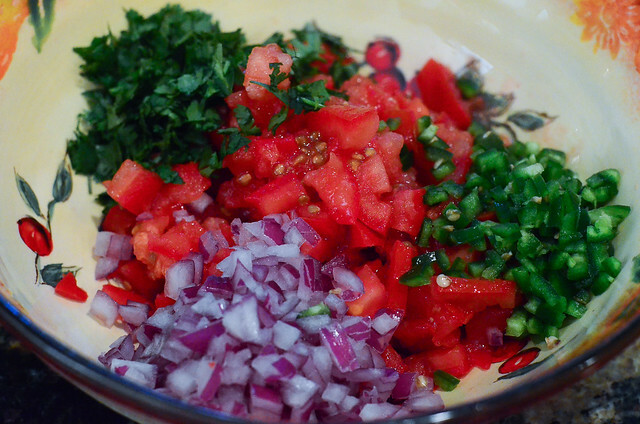 Dice up and combine all the pico de gallo ingredients. Squeeze with the juice of one lime and toss to combine. Season with a little salt. Add the contents of a 12 ounce jar of cocktail sauce and set the bowl in the fridge to chill while we work on the shrimp. If you are using precooked shrimp feel free to skip ahead. If you’re using raw shrimp, stay with me. Important – please be sure to carefully follow package directions for thawing the shrimp and keep it refrigerated until ready to use. Rinse the thawed raw shrimp with cool water and drain. Remove tails if necessary. 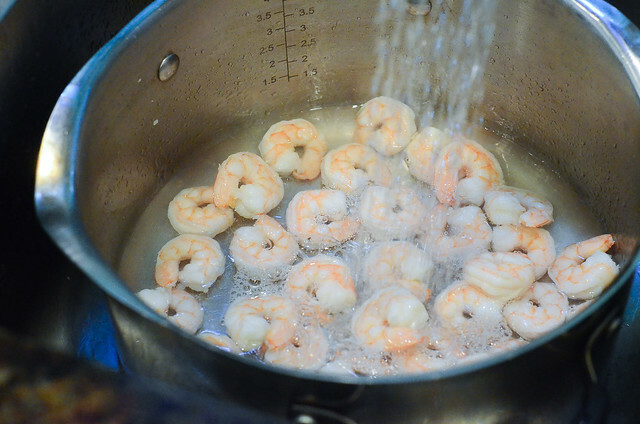 Bring a large pot of salted water to boil and drop in the shrimp. Allow them to cook for two minutes max and then drain the water from the pot. 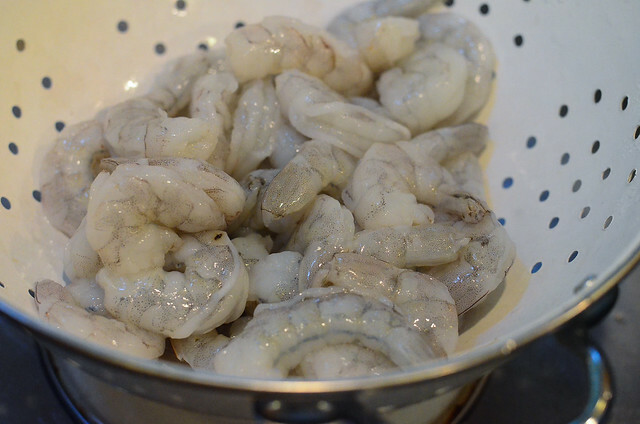 Immediately add cold water to the pot to cool down the shrimp and prevent them from cooking further. Drain well. 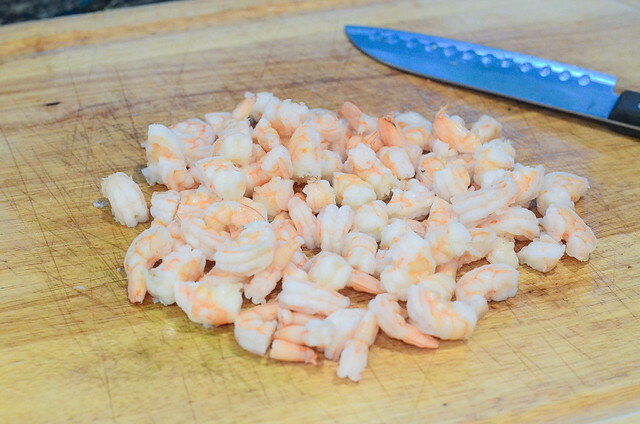 Transfer the cooked shrimp to a cutting board and cut them into chunks. 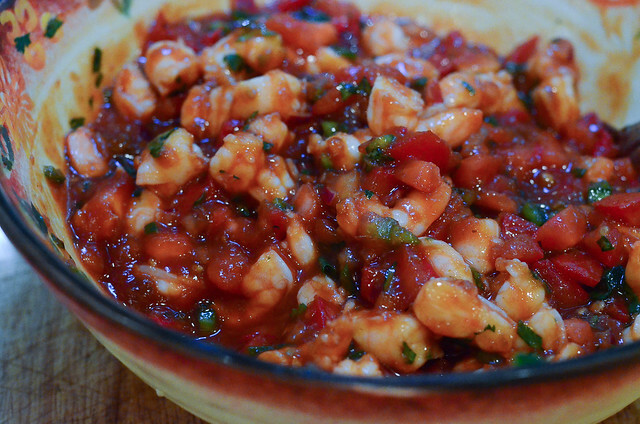 Add the chopped shrimp to the pico de gallo mixture. Mix to combine and then cover the bowl with plastic wrap and refrigerate until ready to serve. You can make this mixture hours ahead to save yourself some time. When you’re ready to serve the shrimp cocktail, remove pits and carefully slice the avocados. 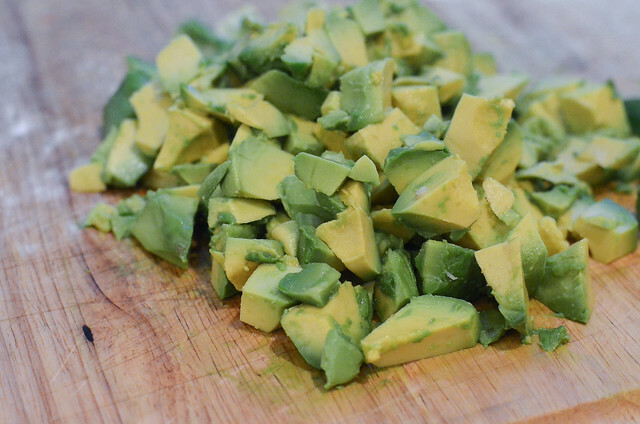 Scoop the avocados on to a cutting board, chop them up and then squeeze with the juice of a lime. In addition to adding great flavor, the citrus juice will help to keep the avocado from browning. Then it’s just a matter of layering..a scoop of the shrimp cocktail, some avocado, repeat those layers and you’re done. I like to serve them in martini or margarita glasses like these but if you’re serving a big group you can just transfer the shrimp cocktail to a large serving bowl, throw the chopped avocado right over the top, and place a spoon in the bowl for everyone to serve themselves. I believe it’s absolutely essential to have a big bowl of tortilla chips nearby and lots and lots of very cold beer. 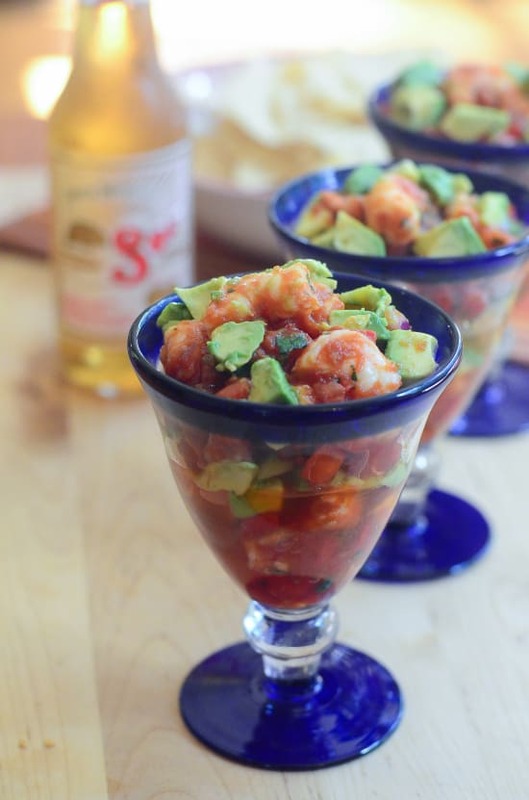 A Mexican twist on shrimp cocktail! Serve with tortilla chips and beer! 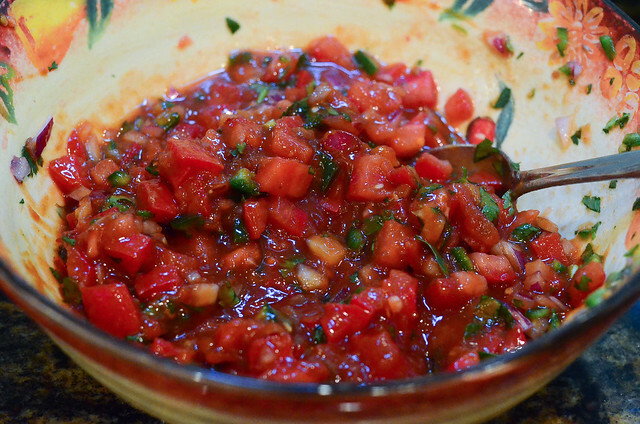 In a large mixing bowl combine diced tomatoes, diced onion, chopped cilantro, and finely diced jalapeno. 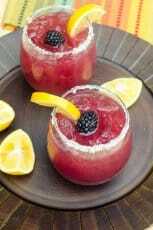 Squeeze mixture with the juice of one lime, season with a little salt, and toss together with a spoon. Add the entire jar of cocktail sauce and stir till combined. Place bowl in the refrigerator. If using cooked shrimp, skip to next step. 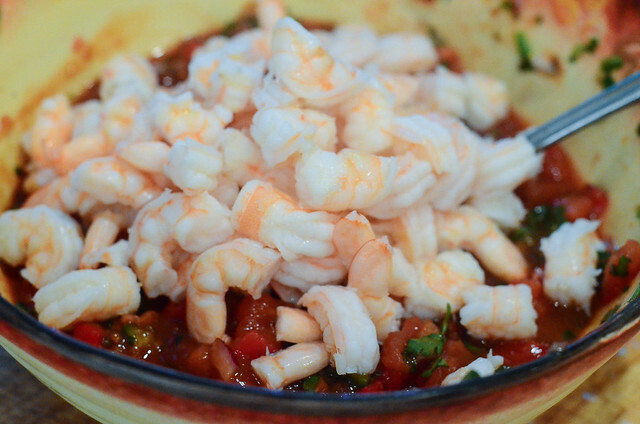 If using raw shrimp, rinse with cold water and drain well. Remove tails if necessary. Bring a large pot of water to boil on the stove. Drop in about one tablespoon of salt. Add shrimp and cook for two minutes; no longer. 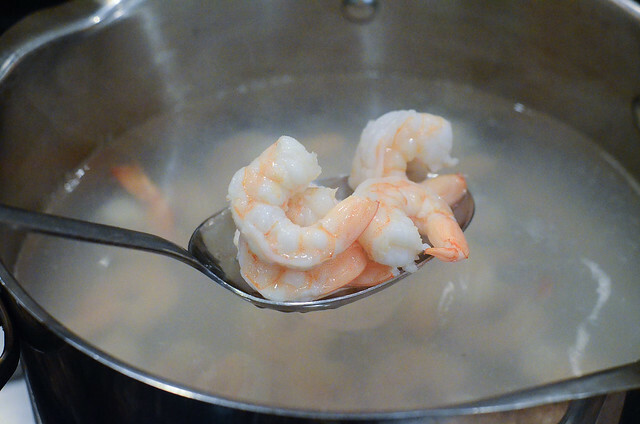 Drain hot water from pot and cover the shrimp with cold water to cool them down and stop them from cooking further. Drain well and transfer the shrimp to a cutting board. Cut each shrimp into two or three pieces to desired size. Transfer chopped shrimp to the chilled bowl of tomato/cocktail sauce mixture and stir well to combine. If desired, bowl can be covered with plastic wrap and refrigerated for several hours at this point until ready to assemble shrimp cocktails. 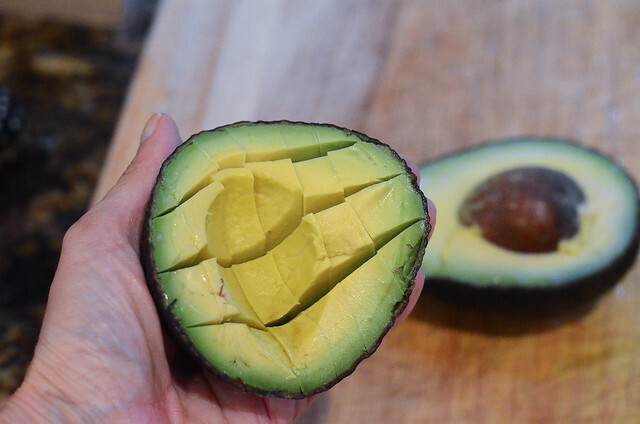 When ready to serve, remove pits and chop avocados. Squeeze juice from remaining lime over the top of the chopped avocado. To serve in a large bowl, garnish top of the shrimp cocktail with the avocado and allow people to serve themselves. For individual servings in martini glasses, layer a heaping spoonful of the shrimp cocktail mixture in the bottom of each glass. Add a generous layer of avocado. 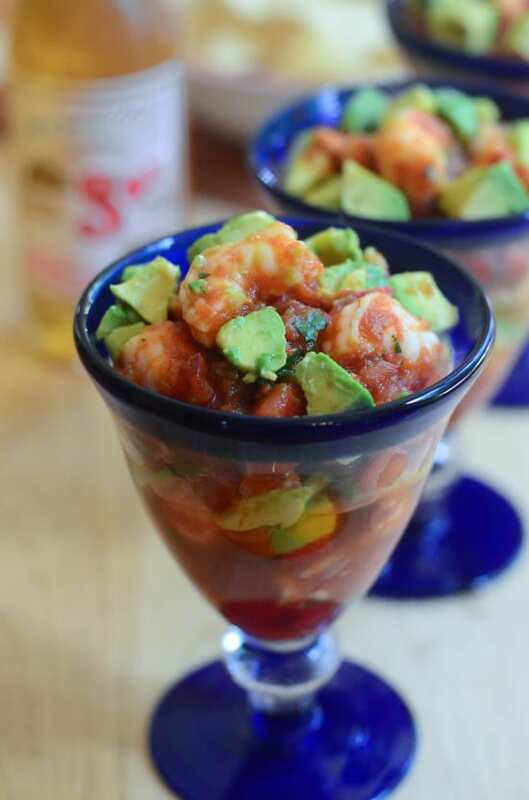 Fill glasses to the top with more shrimp cocktail and garnish the top with some of the avocado. Serve with tortilla chips, Mexican beer, or margaritas! 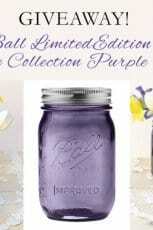 Ball Canning NEW Heritage Collection Purple Jars Giveaway! This is the only back-to-school food I would need!! Heaven in a cute bowl. Love Mexican food here! I sad summer is ending so soon, but I`m excited about all the fall baking! The avocado and shrimp has me on board! 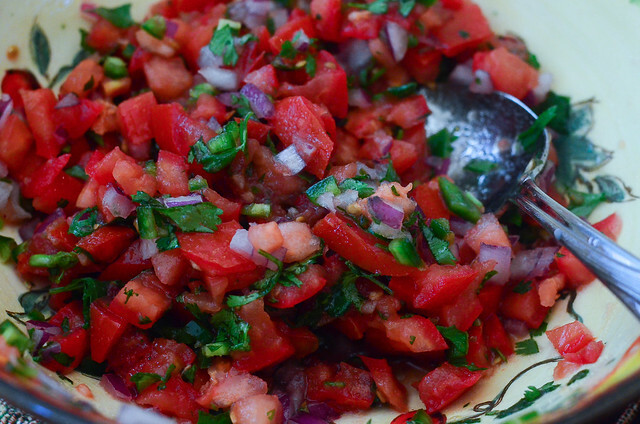 I simple adore pico de gallo. The only thing I would change up would be to replace the cocktail sauce with clamato instead. I’ve had a few of these in Mexican restaurants before and they’re usually liquid based and not sauce based. 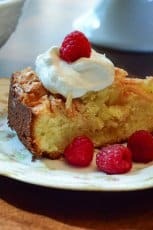 Can’t wait it try this recipe!! My husbands favorite food at a seafood restaurant in Fort Worth, Texas is very similar to yours! Thanks for sharing!! The cocktail sauce should be made from scratch. Adding a ‘jar of prepared cocktail sauce’ ruins this otherwise fine recipe. I have made this for my wife and I several times. We love it. Thanks for sharing.